Solid Copper. Solid Penetration and Expansion. SOLID DEFENSE XTM (SDX). Your 40 S&W deserves the best. The very finest propellant for the application is used. Extensive testing of every available suitable powder led us to determine the optimal propellant for this premium defensive load. It allows us to deliver extreme consistency, low flash and the best performance, even in short barrel pistols. We use a powder that will reduce how much you need to clean your firearm and increase your confidence behind the weapon. ASYM SDX is, designed for functional reliability and controllability in all weapon systems. 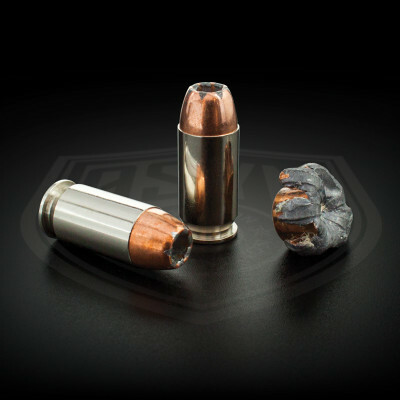 It is loaded to a pressure level that delivers outstanding bullet performance, yet does not overly stress the weapon or shooter. 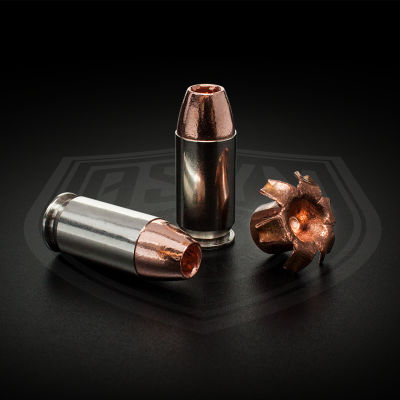 Recoil is even less than standard 40 S&W loads and designed for proper expansion. Every single bullet is hand inspected and case gauged to ensure flawless feed and function. We want to be able to give you the upper hand in every opportunity.